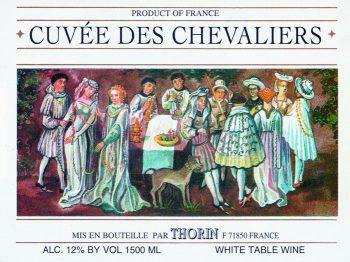 Thorin produces two value-priced, Rhone-style table wines called Cuvee des Chevaliers. The wines are blended to produce easy drinking, well-balanced wines that are consistent from vintage to vintage. These user-friendly, multi-purpose wines comes in Magnum (1.5L) size, making them the perfect quality choice for a variety of catered events from cocktail parties to weddings. Great for cooking! !